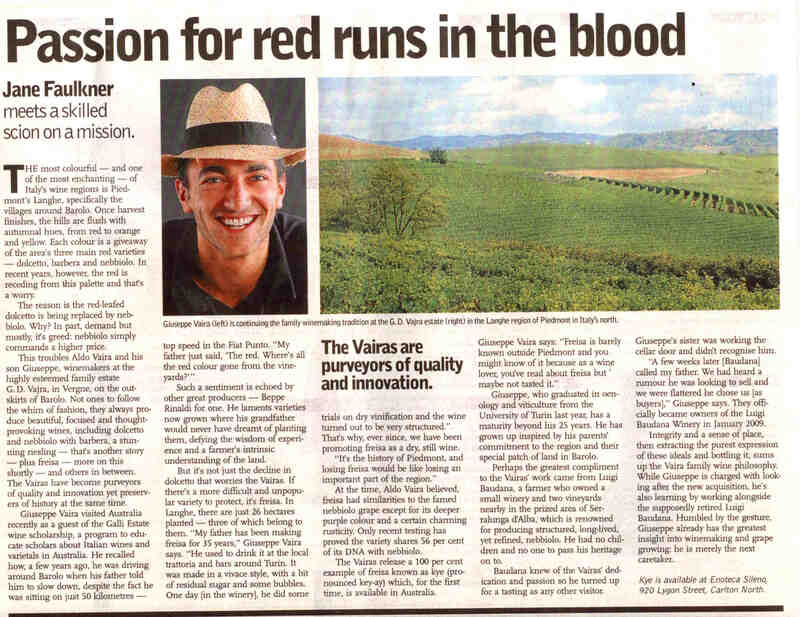 I first came across winemaker Brendan Carter when he was still a student back in 2011. We crossed paths as Italian wine enthusiasts entered into a scholarship for that particular topic. 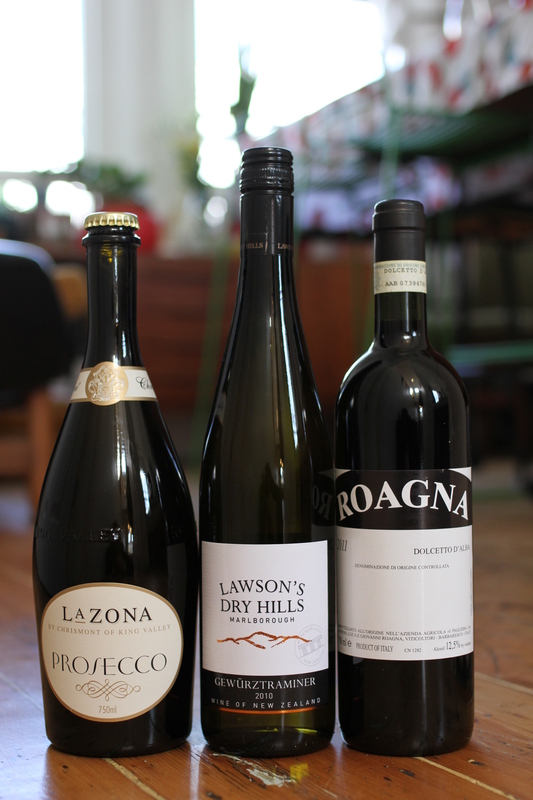 Brendan went on to Dux the course and his prize meant he was able to travel to Italy and explore the exciting varieties the country has to offer. In the following years, Brendan has since put these experiences to their best use with the launch of his own wine label called Unico Zelo run alongside his wife Laura. 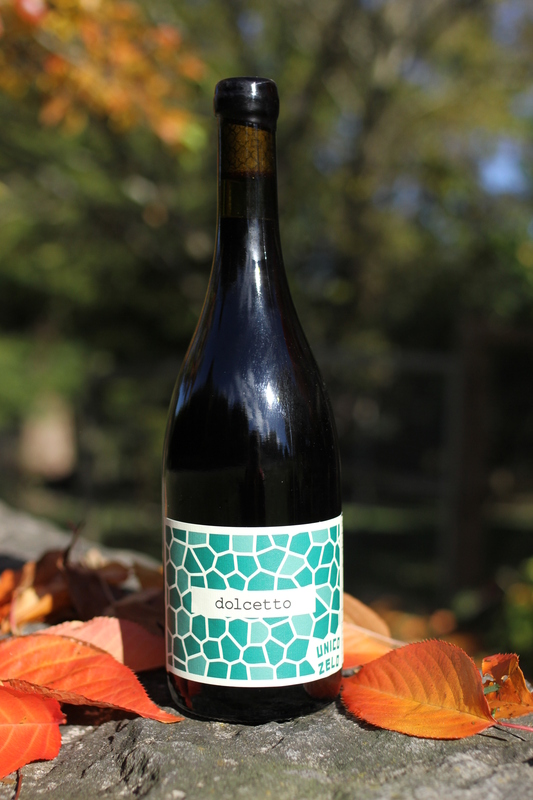 Dolcetto is recognized in Italy as a delicious medium-bodied red variety not to be taken too seriously and is suitable for everyday grazing. In fact the back of the label suggests you have this wine when you find yourself ‘eating with your hands’. The Unico Zelo example fits into a similar mould as the Italian verison with a wild ferment and maturation in old oak that optimizes the fruit profile. The nose opens with aromas of fresh black cherries, cola and a hint of vanilla. The palate is a little more liqueured cherries in flavour and shows a delicacy in its texture and balance with its refreshing acidity. My only hesitation with Unico Zelo is that it lacked the tannic presence to slow me down. That bottle disappeared all too quickly. Stockist: Check Blackhearts & Sparrows stores (all) or be first when the new vintage comes out around October. I sat there gazing at the Pinot Noir before me, which at first glance had the appearance and hue of a deep, unfiltered Burgundy. “Won’t you take me to funkytown!“, I sung to myself. 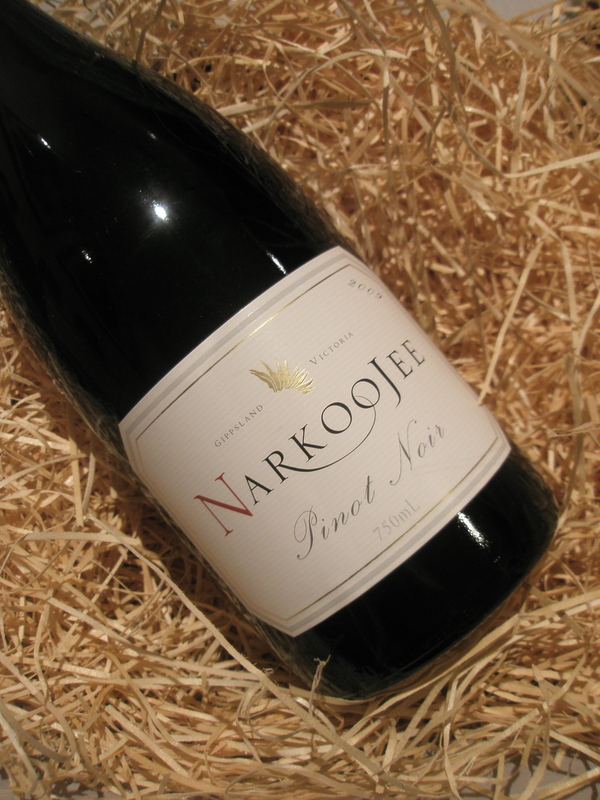 This steers away from the more ubiquitous style of primary fruit-driven Pinot Noir that you tend to find at this price range. In fact, I’d almost dare to say that it’s a little naughty to be offering such chompy, boastfully-flavoured, savoury goodness so cheaply. 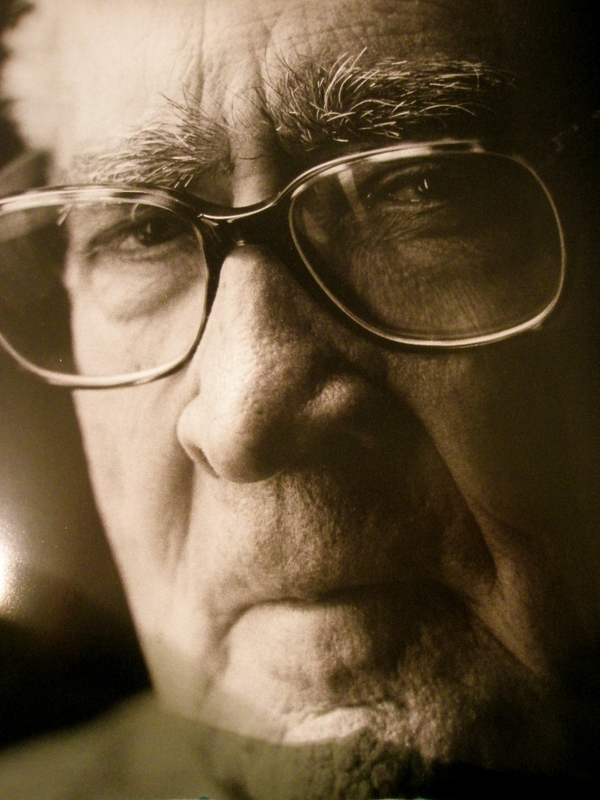 Today I present one of the fathers of Langhe winemaking in Piemonte, Italy – Signor Bruno Giacosa. Some might refer to him as a stubborn man; someone who lived by the mantra of doing what tradition displayed to be best for the wine regardless of what trends dictated should be done to sell more. Clearly this philosophy has boasted well for Mr Giacosa. His wines are long-lived, penetrating, and at times, breathtakingly magical. This post is all about the Giacosa estates, coated in lots of love, with a friendly review of his Casa Vinicola Bruno Giacosa Dolcetto d’Alba 2007 at the end. Allora, let’s delve into the mind and world of Mr Giacosa! Ah yes, twas yet again another fantastic session at the Prince Wine Store in Bank Street, South Melbourne. 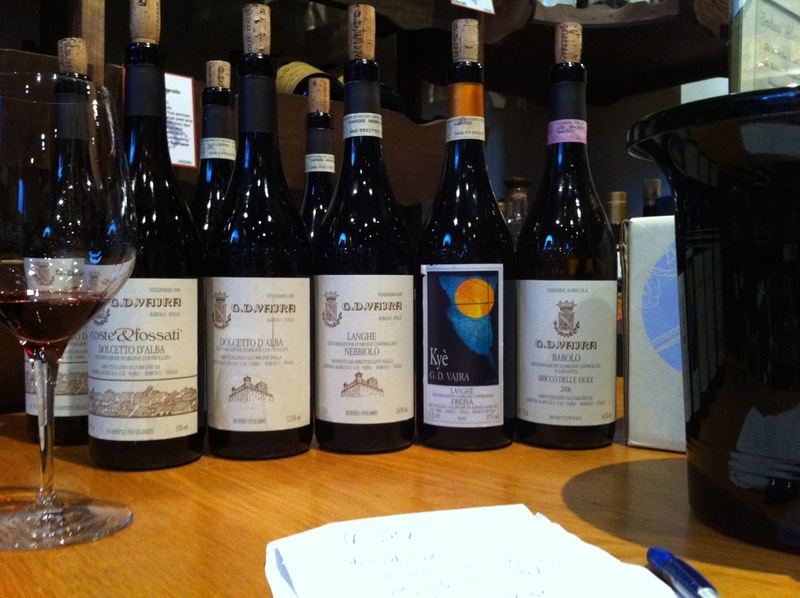 They held a tasting of eight wines from the meticulous producer Luciano Sandrone in Piemonte. 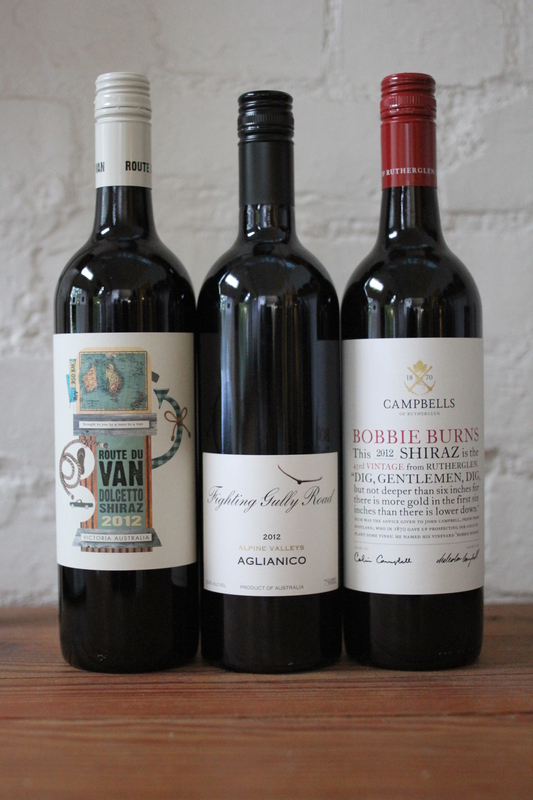 His are wines I have yet to look at in a back-vintage line-up so I was super keen to do this Masterclass with a group of randoms to see what we would be looking at. The last time I’d seen Sandrone’s wines was back in 2008 at ‘The Greatest Tasting of my Life‘ and more recently in January at the ‘2011 Lorenzo Galli Wine Scholarship-Day 1 Tasting‘. Both times I have looked at his Cannubi Boschis Barolo, which was interesting for me to realise and compare notes back. Either way, he is seemingly an excellent producer and the ability to understand the story behind his production, gradual collection of vineyards and philosophy behind his wines was truly a beautiful opportunity to be able to share. Today being Monday, the restaurant was closed and I assumed it would be quite the quiet and lonely day without my friends in black next door. Alas, things turned out to get somewhat better when I found a box of opened G.D. Vajra wines in the cheese room! Mind you, not every day brings me such serendipitous offerings! Who says it’s too early to drink wine before 9am? Clearly if you want to be involved in this Galli Scholarship you better get your act together! All roads lead to … Liechtenstein? Andrea, Stefano and myself met at 5am at the winery this fresh Saturday morning and left for Liechtenstein where we were to conduct a degustazione (wine tasting). We weren’t the only ones of course participating. On the way we stopped in Neive and picked up Claudia Cigliuti who is one of the two daughters who work at Fratelli Cigliuti of Serraboella and Vigne Erte fame. The other vehicle we went with had Chiara Boschis of E. Pira e Figli stunning Barolo wines, the dude from Prunotto and Alberto Gresy of Barbaresco and the owner of the famed Gaiun and Martinenga crus. Claudia and I shared the 4-hour journey together in the back seat through Piemonte, Milano, Switzerland and finally into Vaduz, Liechtenstein. The scenery along the way was gorgeous with the towering Alps around us and already there was snow on top of the caps. The national language of Liechtenstein is Deutsch but they can usually speak alright English and some of them Italian or French. So between the three of us La Spinetta crew we had it covered (Andrea – Italian only, Stefano (French and Italian) and myself (English and some Italian). Seven hours later with very sort feet we retired to the dining room with the other winemakers and and shared a delicious, intimate dinner on a long table and drank the leftover wines, chatted and acted a little silly. The song ‘Tintarella di Luna’ came on and I surprised Andrea when I sang the first verse correctly. I was seated next to Alberto Gresy who is very well spoken and explained his entire family history to me. His cellarmaster of the winery he owns is Geoff Chilcott who I’d met previously a number of times so I think I’ll make the effort to stop in and visit their winery when I get the chance. 2007 Gelbert Muskateller Clos Domaine by Domane Wilfersdorf, Austria for Hofkellerei, Liechtenstein. Overly sweet fruit flavours like Gewurztraminer but not actually a sweet style of wine. Interesting though, but pretty simple. 2007 Riesling Clos Domaine by Domane Wilfersdorf. Simple wine yet again. 2007 Sauvignon Blanc Clos Domaine by Domane Wilfersforf. Not overly fruity but less textural than the Italian styles. 2007 Vaduzer Pinot Noir Herawingert AOC by Domane Vaduz, Liechtenstein. Tank wine, simple, rose’-like, blah. 2007 Verdicchio by Pignocco DOC, Le Marche by Santa Barbara. Delicious example! 2007 Chardonnay from Langhe DOC by Brangero. More typically Chardonnay with greater fruit weight and classic peach flavours with more obvious oak use. Picked later style. 2004 Nebbiolo Barolo ‘Mariondino’ DOCG by Armando Parusso in Montforte d’Alba. A decent standard, lots of body. Chewy. 2004 Nebbiolo Barolo ‘Bussia’ DOCG by Prunotto. Great barolo! Better than the previous, more harmonious and balanced. 1999 Barolo ‘Bussia’ 10 years Riserva by Prunotto. Oxidised and buggered. 2007 Dolcetto d’Alba DOC by Conterno Fantino in Montforte d’Alba. Actually the best Dolcetto I have tasted so far. I was pleasantly surprised. Great body for a Dolcetto. 2007 Barbera d’Alba ‘Vignota’ DOC by Conterno Fantino. Well made, good fruit concentration and not overly tannic. 2006 Monpra’ Rosso del Piemonte DOC by Conterno Fantino. Basic red blend, quite simple, a little touch of Cabernet Sauvignon. 2004 Nebbiolo Barolo ‘Vigne del Gris’ DOCG by Conterno Fantino. A wine with a hell of a lot of body, still needs time in the bottle, little off on the nose but palate overpowered by the strength of the tannins. 2005 Nebbiolo Barolo Sori Ginestra by Conterno Fantino. Just bottled four months ago so like the previous one was overly tannic with too much body and needs time in bottle. 2006 Barbera d’Alba ‘Campass’ DOC by Fratelli Cigliuti. A decent example but not overly impressive. Lacking in body and concentration of flavour. 2004 Nebbiolo Barbaresco Vigne Erte by Fratelli Cigliuti. Light style, savoury flavours in balance with a lighter body and salty (?) finish. 2004 Nebbiolo Barbaresco ‘Serraboella’ DOCG. Better than Vigne Erte, older vines, so concentration of flavour is higher, well balanced acidity to flavour and body all in one. Delicious! 2004 Nebbiolo Barbaresco ‘Camp Gros’ Martinenga by Tenuta Cisa Asinari di Gresy. Lots of body in the wine, needs time but will eventually sing. 2000 Nebbiolo Barbaresco ‘Camp Gros’ Martinenga by TCAdG. Better after time in the bottle, ready to be drunk. from south-facing vineyards, balanced but with some real guts, more masculine. 2000 Barbaresco ‘Gaiun’ Martinenga by TCAdG. Elegant and a more feminine style of wine, in my opinion more approachable and more attractive in flavour profile. 1996 Nebbiolo Barolo ‘Cannubi’ DOCG by E.Pira e Figli. Drying tannins, mouth-coating bottle-age characters. The low pH and high acidity are apparently typical of the ’96 vintage. What a wine. Today was speciale, magnifico e troppo buono. I had been planning on attending the Salone del Gusto festival all week and last night Manuela tells me that Giorgio has asked her and I to accompany him to the awards ceremony for Tre Bicchieri in Torino. Phwoarrr! Tre Bicchieri is part of the Slow Food festival (a global organisation promoting healthy living and eating) and gives out awards (maximum of two per producer) to wines that are outstanding in all of Italy. There were 331 wine awards and two of them went to La Spinetta, the winery I’ve been working for the last few months. One award was for the 2006 Monferrato Rosso Pin and the other for the 2005 Barbaresco Starderi. La Spinetta have a really strong export component with their brand, especially in the United States where their modern styles appeal to a large number of palates. It has helped them reign in the status of a winery that ranks second to Gaja in terms of the Tre Bicchieri awards. After the awards ceremony, there is always a tasting that takes place on alternate levels of all the wines involved in the Tre Bicchieri program. Considering time constraints and the fact we also had to work, Manuela and I determined we would have to swap shifts between manning the La Spinetta table and assisting with the tasting. Manuela, the dear, took the first stint behind the table, leaving me ample time to wind my way around the circular structure, glass in hand, trying Elio Grasso, Bruno Giacosa, Gaja, Giacomo Conterno, and so many more Nebbiolo wines. Piemonte was first on the list, you see. Well it was for me anyway. Call me lazy, but this event was so ideal in my view because instead of going around to visit all these wineries, I could taste the best wines of what they offer right here. I also ventured downstairs and tried a range of Tuscan wines, as well as other reds to the likes of Amarone della Valpolicella and Montepulciano d’Abruzzo, before having to return to give Manuela a break. At the start of the day Manuela and I had joked that I should pretend to be some famous Aussie journalist as we wove our way around the room. Thinking it was a ridiculous idea but persisting with the joke nevertheless, I said, ‘How about Jane Faulkner?’ It turns out I couldn’t pretend because she was there! I recognised her immediately when she first stumbled across the La Spinetta table as she had been a judge at the 2007 Rutherglen Wine Show that I stewarded at. I got such a shock at seeing her, especially after our comments from the morning, so before I knew it, ‘Jane Faulkner!’ in full Aussie fervour and excitement had blurted out of my mouth in her direction at the table. She looked up at me with such a shocked face and muttered, ‘Oh no’. After introducing myself we had a quick chat and she commented that she would be hosting a tasting of Australian & New Zealand wines the following night with my friend Geoff Chilcott from Marchesi di Gresy. Such a small world! She asked me to join them, but I was unable to attend as I had been invited to winemaker Andrea Rivetti’s house for a special dinner with the family. As the day progressed, I ran into the crew from Vietti as they veered towards our table. My friend who used to work at Shadowfax, Eddie McDougall, worked the vintage there this year and I had seen his photos so knew who Luca Currado was from that. Luca is the winemaker and was so lovely. It was clear why Eddie did not pick up any Italian when that whole crew spoke extremely good English. 2006 Brancaia Il Blu – Toscana. Peppery start, mid-weighted, lacking finish but has decent flavours to make up for that. 2005 Cepparello by Isole e Olena in Toscana. Closed nosed but with slight hint of sweetened fruits. Very savoury and tight on the palate but nicely balanced acidity. 2005 Flaccianello delle Pieve by Tenuta Fontodi – Toscana. Closed nose, lacking fruit weight on palate, thin tannins. 2005 Colline Luchesi Tenuta di Valgiano – Toscana. Great smooth texture, fine length, flavour a little lacking. 2005 Sammarco by Castello dei Rampolla in Toscana. Sour cherries and fine tannins. 2005 Tignanello by Marchesi Antinori in Toscana. Nose like a good parmesan cheese, salty characters but great texture and very intriguing. 2006 Terodego Armilo by Bolognani. High alcohol, hot fruit, lacking length. 2003 Amarone della Valpolicella by Marion. Smoky bacon-like nose, textured and flavoured palate, lacking substantial structure to hold out much longer. Hot finish. 2004 Amarone della Valpolicella Classico by Allegrini. Nose a little more vegetal and capiscum-like flavours. Funnily enough that vegetal character is translated well onto the palate, mouth-coating flavours, well-weighted. 2004 Amarone della Valpolicella Classico Vigneto Monte Sant’Urbano by Fratelli Speri. Has a stinkier nose, still quite vegetal and herbaceous, well-developed flavours and a firm finish. Balanced really, really well. 2006 Colli Piacentini Cabernet Sauvignon Luna Selvatica by La Tosa. Soft cheese nose, soft tannins, lack of flavour overall and mid-length palate. 1998 Montepulciano d’Abruzzo by Emidio Pepe. Smells just like the feet of a man gone camping and stinky gorgonzola, gritty tannins, firm finish and good palate weight. 2005 Montepulciano d’Abruzzo Marina Cvetic by Masciarelli. Not as strong of a stinky cheese nose but still there and will probably develop into something much more appealing (?) with time. At least it has good weight and textural aspects. 2006 Montevetrano. Herbaceous but clean, tight and firm palate. Still a bit too young. 2006 Terra di Lavoro by Galardi. Like a Cabernet Sauvignon, similar vegetal characters, firm tannins with a long, persistent finish. 2004 Bruno Giacosa Barbaresco Asili Riserva. Lightly coloured, stinky cheesy nose, cooked cherry, strong powerful palate, delicate balance between the fruit with great acidity and firmness of tannins. 2004 Bruno Giacosa Barolo Falletto, Neive. Highly appealing nose, savoury on the palate, tight, quite acidic but evenly balanced with the flavour and weight. 2004 Tenute Cisa Asinari dei Marchesi di Gresy Barbaresco Gaiun. Nose like a Pinot Noir, sweeter fruits, newer world style, heavier fruit on palate but still with tight acidity and sourness on finish. Mid-weighted, needs more time in the bottle. 2004 Fratelli Cigliuti Barbaresco Vigne Erte. Savoury, delicious and has superb length. 2006 Barbera d’Asti Bricco della Bigotta by Braida. Quite a nice Barbera, a little lacing in flavour but plenty of acidity, maybe needs more time to open up…I got in early. 2004 Silvio Grasso Barolo Bricco Luciani. Firm tannins, chalky actually, perfumed nose a pleasant surprise, a little ordinary though overall. 2004 Barolo Enrivo VI by Montalletto – Cordero di Montezemolo. Weak flavours but good length and fine texture, so promising. 2004 Elio Grasso Barolo Ginestra Vigna Casa Mate’. Perfumed elegant nose, clean, vibrant acidity and really nice length. A delight! 2004 Vietti Barolo Lazzarito. Good concentration of fruit and drives through for a persistent finish. What a star. 2004 Aldo Conterno Barolo Romirasco. Nose like thistle, flavour quite thin, tart finish, acid acid acid. 2001 Giacomo Conterno Barolo Monfortino Riserva. Poor colour for a 2001, parmesan-cheese like nose (Brett.? ), savoury and smoother tannins, salty-like sensation. 2004 Giacomo Conterno Barolo Cascina Francia. Musty and old nose but quite intriguing, savoury on palate but smooth, good length and totally delicious. I love how these wines continually surprise me. 2004 Giacomo Brezza e Figli Barolo Sarmassa. Still young, needs more time in bottle, tannins mouth-puckeringly harsh. 2007 Ca’ Viola Dolcetto d’Alba Barturot. Wish I’d tried more Dolcetto’s in my time here to really understand the variety better. 2004 Giancarlo Travaglini Gattinara Tre Vigne. Cheesy nose (what’s with all the cheese today people?! ), firm tannins give a lovely mouthfeel they do not overpower. 2005 Gaja Langhe Nebbiolo Costa Russi. The Barbaresco-savoury nose but not sour on palate, fine tannins and elegant.